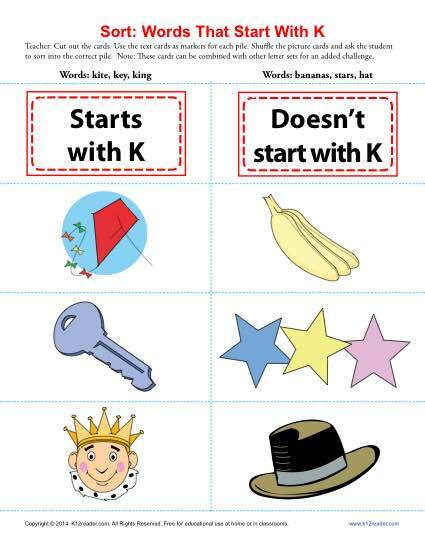 Does it start with “K” or not? That’s your youngster’s task in this fun sorting game! It’s appropriate for practicing the kindergarten and 1st grade Common Core Standards for Language, although it may be helpful for other students.